Can you help find this missing Aberdeen teenager? Police are appealing for information following the disappearance of a teenager from Aberdeen. Liam Smith is reported missing and was last seen at around 12:00pm on Saturday in the Queens Road area of the city. A police statement describes the 16-year-old as “white, 6’4” and has short brown hair, slim build. 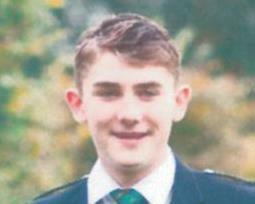 Anyone who has seen sightings of Liam is asked to contact Police Scotland on 101, quoting incident number 1302.